Pickup games on a T3000. Beginners welcome. Casual Games. Three win streak limit rule. Everyone gets to play. 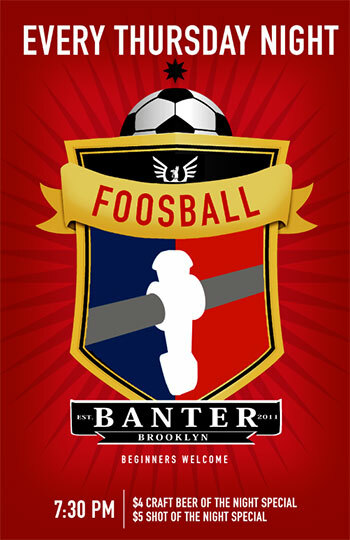 Each week Banter offers different craft beer for foosers for only $4 and a shot for $5.